separated from his family, peering through the barbed wire fence of an internment camp deep in the woods of New Brunswick. 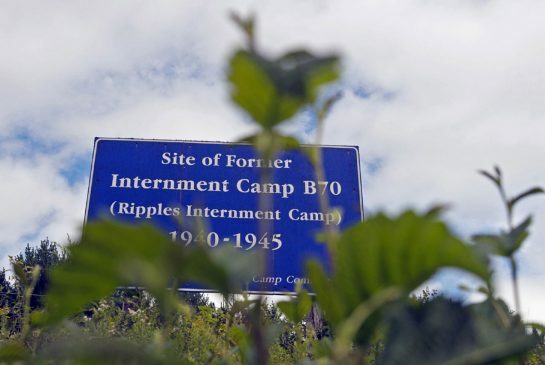 Internment Camp B70, located in Ripples, N.B., housed more than 700 Jews in the early months of the Second World War. More than 70 years later, it is a piece of New Brunswick history rarely spoken of and little known by many. As the situation for Jewish families in Austria worsened in the months leading up to the war, Kaufman’s father decided to send his son to England — one of 10,000 Jewish boys taken to the United Kingdom as part of a relief effort known as the Kindertransport. “It was a tough decision to split up the family,” Kaufman said in an interview from his home in Toronto. 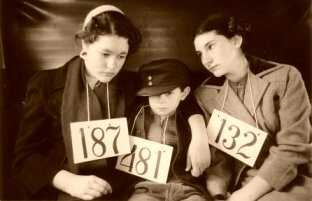 But then-British prime minister Winston Churchill was worried there could be spies among the Jews, and he asked Canada and Australia to house them as internees. Kaufman was one of 711 men and boys who found themselves stepping off a train on Aug. 12, 1940, and led on foot to an internment camp in Ripples, an isolated community about 30 kilometres east of Fredericton. Kaufman said that at the age of 16, he was the second youngest boy at the camp; another boy was just a day younger. The 22-hectare site had been a relief camp during the Depression before it opened in 1940 as an internment camp, one of 26 in Canada and the only one in the Maritimes. The internees were housed in army barracks and spent their days cutting the 2,500 cords of wood required each year to keep the 100 wood stoves in the camp burning. They wore denim pants with a red stripe on the leg, and denim jackets with a large red circle on the back. “That’s in case you ran away and you could be identified as an internee,” Kaufman said. There were six machine-gun towers positioned around the perimeter of the camp. After a year, Britain realized that many of the internees could contribute to the war effort and were given the choice to return to England and join the military or obtain a sponsor and stay in Canada. Kaufman chose the latter. 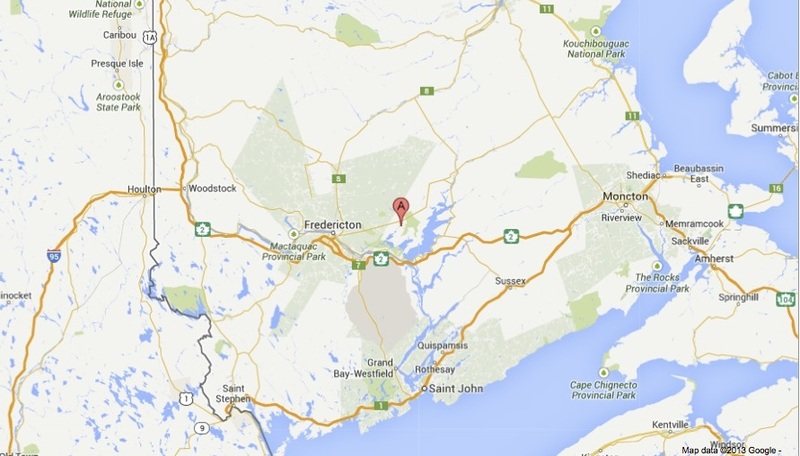 When the camp closed in 1945, the 52 buildings at the site were sold and moved as far away as Fredericton. The area sat idle until 1997, when teacher Ed Caissie enlisted a group of students in a project to learn about the camp and unearth some artifacts to create a display in nearby Minto. Soon the New Brunswick Internment Camp Museum had 600 artifacts and a permanent home in the basement of the Minto Town Hall. In 2006, Caissie said volunteers who were running the museum decided to develop an historic trail at the site of the former camp. The former camp is located off a lonely stretch of Highway 10. Walking the trail, there’s an old road and remnants of pipes for fire hydrants and the wastewater system. There’s also something a bit more odd: faces that appear to be moulded from human visages. Caissie said that soon after the trail was opened, someone made 10 replicas of human faces and affixed them to trees near some of the key locations in the camp. Caissie said his dream is to further develop the site. “I think it is very important for the generations coming up to know about our history,” he said. Caissie, a retired teacher, said details about the New Brunswick camp should be included in the province’s school curriculum. Lori-Jean Wallace, a spokeswoman for the Department of Education, said while there is no mention of the New Brunswick camp in the curriculum, teachers are free to discuss it. But Caissie said it should get more attention. “A lot of the people who were at this camp stayed in Canada and became contributing citizens to our economy, literature, music and medicine,” he said. In the case of Kaufman, he became a journalist, a lawyer and later a judge for more than 20 years with the Quebec Court of Appeal. His parents managed to escape Austria during the war and the family was later reunited. Despite the many years that have passed, Kaufman has never returned to visit New Brunswick’s internment camp site, saying it is something he prefers keeping in the past. “I’m grateful because it got me out of Vienna, which might have meant a concentration camp, might have meant the gas chambers, or could have been anything,” he said. “Even though there are unhappy memories for parts of it, on the whole I have to be very grateful that I was lucky to get out. Next Next post: You Are Part of Town, State & Nation But You Think You’ve Made It On Your Own?